It all started one year ago, when we met Samuel, the guy that changed our lives. We were walking through the Zócalo of Oaxaca, when suddenly we felt attracted by the colors and the energy of his stand. We approached him, and saw a paradise of pompoms. All the pompoms were hanging as “curtains of pompoms”. Pompoms have been made since many generations for the typical Chamula’s costume. Women’s and butlers wear them in their traditional clothes as decoration of their costumes. Before meeting us, Samuel only used to sell pompoms in his stand in Oaxaca. As an average, in one week he sold 36 pompoms. With Ubuntu, in one year we have produced close to 3,000 pompoms. Samuel is now hiring more people to help him produce the orders, not only his brother and wife, but he now also has his “chalanes”. He tells us it's not easy to find someone to help him, because today not everybody knows how to make pompoms. It takes Lucia 3-4 hours to make an full necklace, as the ones you hang around your neck. Samuel is 26 years old and his wife Lucia is 21 years old. They're parents of 2 children that are 5 and 2 years old. They are taking care and improving their family's quality of life. 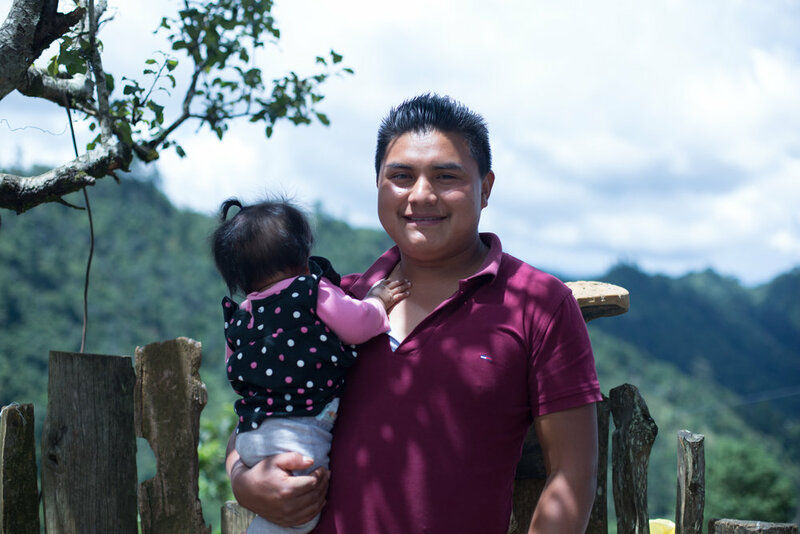 Born and raised in the mountains of San Juan Chamula, Samuel and his entire family speak Tzotzil — a typical dialect from Los Altos de Chiapas. Samuel lives in their parents home, a house that houses 15 people, and his dream is to build his own house for his family. “Here in the community, we don’t have where to work, there is no work for daily life which is why we go to the city to find something to do or sell. If I work in the fields, I get payed $100 pesos per day ($5 dollars) in very hard conditions, with the sun is extremely hot and then my back hurts so much.